The wait is finally over. 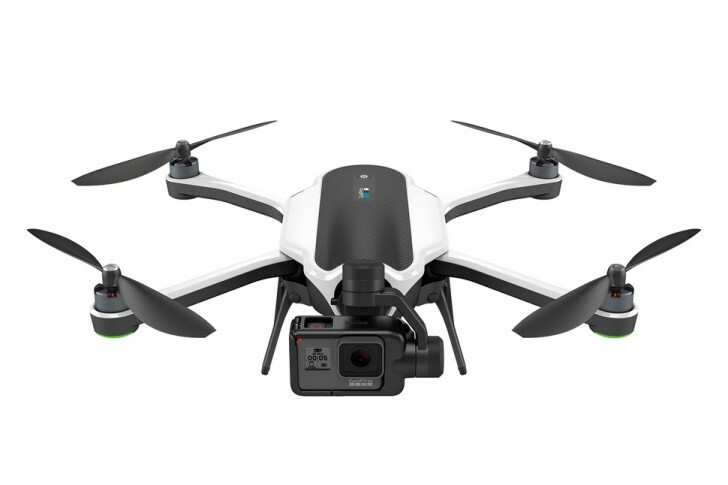 Today GoPro took the wraps off its first drone, called Karma. It's a foldable unit, and in fact it ships in a small backpack that you can use to carry it around. The quadcopter's controller has a touchscreen and two joysticks. The drone itself has a 3-axis gimbal which stabilizes the camera, and this can be removed and used in handheld mode too. As for cameras, the Karma is compatible with the Hero 4 as well as the newly announced Hero 5 series. The GoPro Karma will become available on October 23 for $799 (or £720 in the UK) with no camera included, $999 with the Hero 5 Session, and $1,099 or £999 with the Hero 5 Black. Speaking of which, let's take a look at GoPro's newest action cams too. The Hero 5 Black is the company's new top of the line offering in this space. It records 4K footage at 30fps (with wide dynamic range even), takes 12 MP pictures (RAW too), has a 2-inch touchscreen, built-in GPS, and it's water resistant up to 10m. The Hero 5 Session, on the other hand, only shoots 10 MP images and doesn't have GPS, RAW support, or the ability to capture wide dynamic range videos. It's devoid of a display too, but makes up for all of these shortcomings by being cheaper than the Hero 5 Black. And in every other aspect the two are identical. That includes sharing GoPro's new "professional" electronic image stabilization, a first for the company. 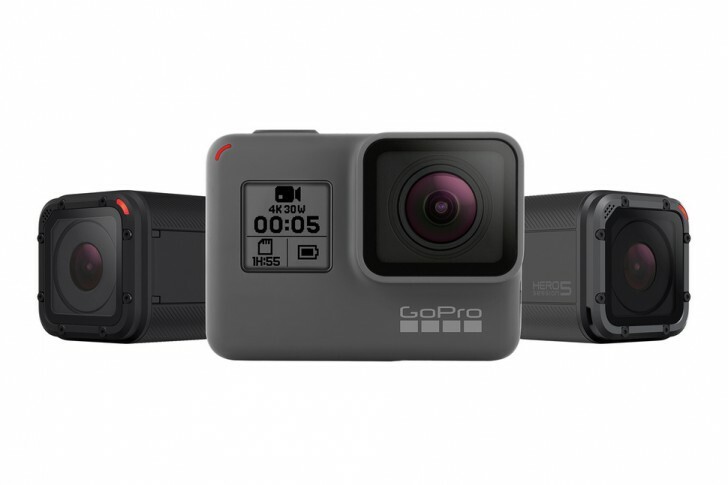 They even have voice control (in seven languages), and can automatically back up what you record to GoPro's Plus cloud service - which launches on September 29 and costs $4.99 per month. The Hero 5 Black will cost $399 (£350 in the UK), while the Hero 5 Session will go for $299 or £250. Both will be out on October 2.
why is karma not compatible with hero 4 session if it's compatible with hero 5 session, it's the same shape?